It’s a New Year, and new our team of interns are hitting the ground running. This January, we welcomed two new smart working interns to the Abodoo family, Priyanka our brilliant writer and in-house social media guru, and Ashima our digital marketing whizz.. this is their first of their weekly confessions and we’re excited and delighted to have them on board! 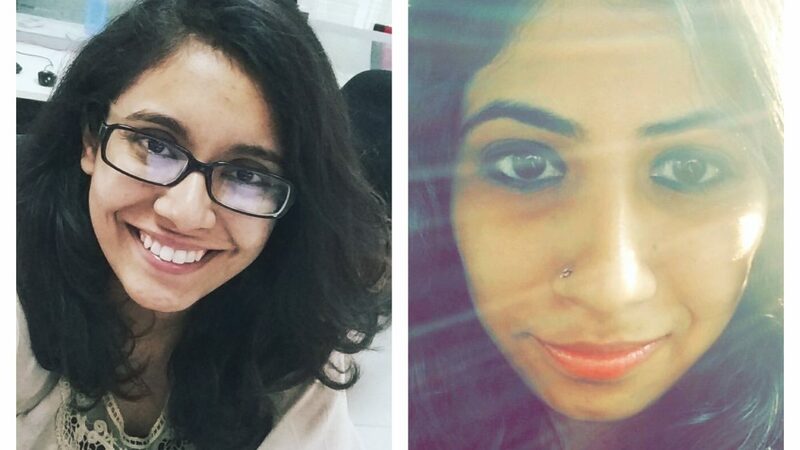 Hello everyone, my name is Priyanka and I am the new Abodoo smart working intern for content! This is my first ever confession post so it’s taken me a while to draft it, which is surprising since I’m a pretty fast writer otherwise! There isn’t much to write since this is only my first week at Abodoo and I’m still getting my bearings with what needs to be done. However, I must state that I am enjoying it already. In fact, I can’t believe the week went by so fast! It’s been incredible! So I have been a content writer for 5 years now, and most of that as a freelancer, which means I’m not a stranger to smart working. Although I must add that my work is mostly remote, and I had very little idea about other working options like co-working spaces. Believe it or not, I had never used a co-working space in my 3+ years as a freelancer back home in India but the day I joined Abodoo, I actually experienced it. And it was wonderful! I didn’t know what I was missing out on until that day. Unbelievable, right? Working freelance for so many years but actually experiencing a co-working space for the first time in a different country! I would like to conclude this post by saying that this has already been an eventful 10 days with Abodoo. The work is fulfilling and challenging, and it’s fun to have control over so many aspects of content writing and posting; there’s so much I’ve learned already, which is especially great after 5 long years of a similar schedule. I am thoroughly enjoying being a smart working intern! Looking forward to next week. New content, new news, new tidbits to post on social media and new avenues of #smartworking and #flexibleworking to explore! Hi everyone, I’m Ashima, nice to meet you all. I have a BA in journalism and I’ve just completed my Masters in Interactive Digital Media from Trinity. This is my first SmartWorking position and despite only being a week in, I’m loving the new challenge already. We met in the wonderful Huckltree co-working offices on our first day and had the opportunity to meet Chloe, Vithoria and Shivtej before they finished their internships and it was such a welcoming experience. I was joined by another smart working intern Priyanka who is also from the same country as me – India. Over the last few days, we were given many exciting responsibilities and lots of freedom to execute that. I hope that you all will enjoy the work that we put up in form of our blog, social media, and psst… We have videos and infographics planned too! I love the concept of SmartWorking as it gives me the freedom to work around my personal objectives while still being part of a team making a difference. In 4 years of working as a content creator in India, I secretly wished for flexible working options like this. And I am very happy to have found it at last. Looking forward to finding new creative ways to help drive the Abodoo brand and message using through smart work.